There is no need to connect the equipment with the mobile telephone via the wires; the device reacts towards all the GSM telephones, located near by, in the course of the whole communication and at the call moment. 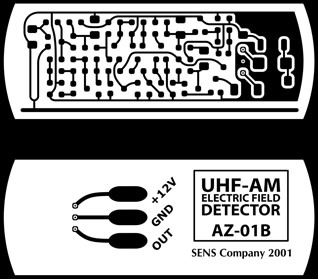 The detector of the EM field, which covers the ranges of 900 and 1800 MHz, is used in the equipment. Distance of detection of radiations of the mobile GSM telephone in the waiting regime makes at least 0,5 meter; remoteness of fixing the signal in the active regime makes up to 10 meters. 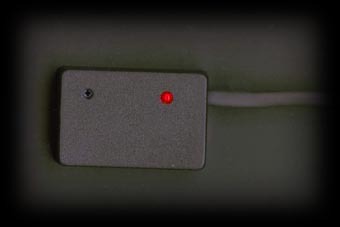 Several versions of the device, including the microprocessor variant with several external sensors, assigned for installation in the premises, were worked out in the year 2001. 100 units, as the samples, were produced. Later on the project was given up.